Joining us from the print edition? In the 19th century and for the first half of the 20th, France could generally be characterized as dominated by economic liberalism (in the European, free-market sense) and Germany as largely statist. Then, quite abruptly after 1945, the pattern reversed. The old traditions in both countries were discredited as a consequence of the political catastrophes of the mid-20th century. The extent of the catastrophe, on both sides of the Rhine, indicated the necessity of a basic change of course. German writers could see how the prominent role accorded to the state in traditional economic theories might have favored Nazi statism. By contrast, younger French thinkers blamed the do-nothing non-interventionism of the traditional liberal school for sluggish economic growth, but specifically for fiscal austerity and consequently the failure to coordinate a viable defense economy in the 1930s. Thus, after World War II, France reacted against old-style laissez-faire and emphasized the desirability of systematic planning, while Germans recoiled from the idea of the state because its actions were arbitrary. The most far-ranging critic of the German model of statism was the Austrian Friedrich Hayek. Hayek accurately identified that the interventionist approach of the Weimar Republic (which had its origins in wartime planning) created a sort of path dependency, in which the answer to failure was not an abandonment of the approach but rather a more radical version. In The Road to Serfdom, he asserted that Walter Rathenau, the intellectual who devised Germany's innovative planning regime of World War I, "would have shuddered had he realized the consequences of his totalitarian economics." Economic planning, as Hayek recognized, was inherently discriminatory: "It cannot tie itself down in advance to general and formal rules which prevent arbitrariness. … It must constantly decide questions which cannot be answered by formal principles only, and in making these decisions it must set up distinctions of merit between the needs of different people." The issue of arbitrariness applies in a particular way to the actual implementation of capital controls. They were implemented in both Austria and Germany from 1931 – that is, before Hitler came to power in January 1933 and Austrian conservatives created the reactionary corporate state in 1934. But the dictatorship provided more means of enforcing controls. Hayek cites the German classical liberal thinker Wilhelm Röpke, to the effect that "while the last resort of a competitive economy is the bailiff, the ultimate sanction of the planned economy is the hangman." If he had at the time known Hitler's table talk, Hayek might have cited the musings of the dictator himself: "Inflation does not arise when money enters circulation, but only when the individual demands more money for the same service. Here we must intervene. That is what I had to explain to Schacht [the president of the Nazi central bank], that the first cause of the stability of our currency is the concentration camp." A considerably softer version of the Hayekian critique of the old German tradition, known as Ordo-Liberalismus, was deeply influential in Germany and had a major political impact. Chiefly expounded by Wilhelm Röpke and Walter Eucken, rules needed to be formulated in general terms; the state's actions should be confined to the enforcement of such general laws – for instance, the laws on competition and against cartels, which had been an important part of the older German tradition of business management. Unlike Hayek, who more and more insisted on the spontaneous creation of order and rules, the ordoliberals emphasized the need for an initial elaboration of an appropriate framework. Their vision of order included both a system of general rules and a mechanism by which those rules define the responsibility of individuals and economic agents. The system fundamentally depends on the accountability of market participants. Any measure that limits accountability by promising some sort of contingent rescue would create destructive incentives that would lead to the accumulation of unfulfillable expectations on behalf of the economic actors and unfulfillable liabilities on the part of the government as the ultimate insurer. As a consequence, ordoliberals worried greatly about "moral hazard," a term taken from insurance (a well-insured person may not take sufficient care that his house does not burn down). On these grounds, the Freiburg School (another name for ordoliberalism) even worried about the limited liability principle for corporations. "Unlimited liability is part of a competitive system," Walter Eucken wrote. In his eyes, too many and too complicated laws breed moral hazard, and the economic agents are given incentives to game the system. The antitrust thinking of the new German economists also meshed well with the thinking of the U.S. military administration. One of the German ordoliberals, Franz Böhm, wrote that there was "no influential and socially strong group" supporting competition "excepting the American occupation authorities." Competition law thus became a crucial part of the new German philosophy and, as advanced by Walter Hallstein, the German economist and civil servant who became the first president of the European Commission, also of European law. Ludwig Erhard, the economics minister who pushed Germany's liberalization program, made the link between competition policy and European priorities explicit. In 1952, at the launching of the European Coal and Steel Community, he stated, "We plan to create a common European market. The aim is incompatible with a system of national or international cartels. If we want to create a higher standard of living through technical progress, rationalization and an increase in production, we have to be against cartels." The resulting vision did not completely remove the state. The rejection of the past was not as extreme as it appeared in some of the ordoliberal manifestos. Indeed, the economic historian Albrecht Ritschl has argued (controversially) that a large part of the distinctively German and rather corporatist approach to the state-business relationship was inherited from the Nazi era. “Economics professors” in Germany came to have a sort of ideological definition. They were the five professors (only one of whom was really an academic economist, and he was retired) who complained about the Greek rescue package in 2009. In the 1960s, the German model incorporated a good deal of Keynesianism, but was formulated in terms of a foundation of stability, or a rule-based order. In academic economics, ordoliberalism was largely replaced by a U.S.-style neoclassical synthesis. Most modern ordoliberal academics are lawyers rather than economists. Some ordoliberalism survived in think tanks and in the economic research institutes that are a feature of the German intellectual landscape and constitute a bridge between academia and politics. The German Council of Economic Experts, which was set up by Ludwig Erhard in 1963 and is intended to educate the public rather than specifically to advise the government, sees itself as embodying the legacy of ordoliberalism. But in general, ordoliberalism has a bad reputation, especially outside Germany, with the Financial Times journalist Wolfgang Münchau excoriating "the wacky economics of Germany's parallel universe." As he put it, "German economists, roughly fall into two groups: those that have not read Keynes, and those that have not understood Keynes." But the traditions of the postwar era certainly exercise a substantial, almost subconscious, appeal to many Germans, and especially to policymakers in the Bundesbank and perhaps also the Finance Ministry. It is also conspicuously represented in the economics pages of the Frankfurter Allgemeine Zeitung (FAZ), a major German newspaper. The FAZ is generally considered to be moderately right-of-center, but even the moderately left Süddeutsche Zeitung devotes space to the German economic tradition. In particular, since 2009, both these large German newspapers have worried about the moral hazard implications of euro rescue measures. Those traditions represent what Keynes famously called "the gradual encroachment of ideas" that rendered politicians and practical men as "slaves of some defunct economist." As the Bundesbank had a major input in the design of the European monetary union, some commentators speak of the "ordoliberalization of Europe." German officials in some Berlin ministries like to voice their dissent from alleged "fundamentalists" in the Bundesbank. The government also started to distance itself from the Council of Economic Advisers, complaining that the economists there were inflexible and were looking "too much through German spectacles." The Social Democratic Party economics minister Sigmar Gabriel pointedly delayed supporting the renomination of Christoph Schmidt as chairman of the council. In the course of the euro debt crisis, German critics of the various rescue packages liked to present themselves as the voice of the economics profession. "Economics professors" in Germany came to have a sort of ideological definition. They were the five professors (only one of whom was really an academic economist, and he was retired) who complained about the Greek rescue package in 2009. They were the 172 professors who in July 2012 signed a letter to the FAZ attacking the banking union plan. The phenomenon of the economics professors even eventually appeared as a new political party: Bernd Lucke (an economics professor from Hamburg) and Konrad Adam (a retired FAZ journalist) formed an anti-euro protest party, the Alternative für Deutschland (AfD), which polled surprisingly strongly in the European Parliament elections of 2014. These organized mobilizations of economics professors were not truly representative of the profession, but they wanted to give the impression that they were. Later, the economic professors were forced out of the AfD, which turned in a radical right direction. A focus on the legal, moral and political foundation of free markets in agreed rules, which may be treaties or laws, or shared understandings. A strong emphasis on accountability. For market participants, the responsibility is financial – they need to pay the price of failure. Politicians are accountable to voters. A concern with the potential for moral hazard arising from lender of last resort activities. The IMF's financial rescue package for Mexico in 1994-5 was heavily criticized by German officials as encouraging reckless behavior by increasing the likelihood of future rescue operations. A concern that lender of last resort (LLR) action may corrupt monetary policy because a central bank that has an LLR obligation might be forced to give priority to financial-sector stability over price stability. A belief that firm rules are needed to shield monetary policy from fiscal dominance – namely, that by raising the permanent level of expenditures without raising taxes, government can affect the current and future flows of the monetary base and, hence, of the money stock and of the inflation rate. A strict approach to government debt. Germany pioneered an approach that it now proposes to Europeanize, with a 2009 law mandating a deficit limit at the federal level of 0.35 percent of GDP by 2016 and an elimination of deficits for states by 2020. German think tanks like the idea of a Europeanization of fiscal rules enforced by some sort of fiscal or debt council. The view that growth is not achieved by the provision of additional money or resources, but by structural reforms. Additional money is a sort of trickery, doomed to failure and analogous to trying to pull yourself out of a swamp by pulling on your bootstraps. A belief that present virtue – or austerity – is rewarded by future benefits. France, too, began the postwar era by rejecting the economic orthodoxies of its past and seeking to Europeanize its new priorities. Low growth and stagnation had weakened France politically, socially and militarily. The obsession with balanced budgets had led to a cutting of defense expenditures that made France more vulnerable. Part of the picture had been French unwillingness to take John Maynard Keynes seriously. Keynes was not a popular figure in France, doubtless because of his well-known criticism of the 1919 Versailles Treaty, and, in pre-1940 French debates, the role of the state was not seen primarily in terms of macroeconomic stimulus. The new postwar French alternative emphasized the need for the state to coordinate and plan investment. An unplanned or spontaneous market order was likely to lead to underinvestment and low growth. The new French tradition had its roots not so much in high thought, but in the work of practical economists who were trained in institutions oriented toward service to the state. That tradition went back a long way. The Corps of Bridges and Roads had been set up in 1716 and organized as a school in 1775. The original intention was to provide an accurate mapping system so as to allow the construction of a national road network for the whole of France. In 1794, a parallel École Polytechnique was established to train "national engineers." A third school for mining had been founded in 1783. The products of these schools pushed for elaborate and unified transportation, communications and eventually energy transmission systems. They built roads in the 18th century, canals and railroads in the 19th and electricity grids and high-speed train networks in the 20th. Critics observed that the schools were proud of their complete ignorance of the economic principles of diminishing marginal utility and the time-value of capital. The French planning tradition achieved a new momentum in World War I, when Étienne Clémentel and Ernest Mercier tried to imitate the German war planning approach of Rathenau, and again in World War II. Even this brief narrative of the evolution of the French planning tradition makes it clear how much interaction there was with Germany. Frederick the Great in Prussia admired French economic planning methods and tried to promote similar developments. He imported technicians and engineers from France and England. So did other German states, with a famous mining school founded in Freiberg in 1765. The École Polytechnique found many imitators in Germany, from the Technische Hochschule in Karlsruhe (1825) onward. Indeed, Germany came to be more widely regarded as the best-practice model of technical education. The 19th century in France was intellectually dominated by a passionately articulated economic liberalism, with Jean-Baptiste Say (1767-1832) arguing after the French Revolution that it was a "gross fallacy" and "productive of infinite mischief" that "what government and its agents receive, is refunded again by their expenditure." He went on to establish Say's Law: "Supply creates its own demand." The journalist Frédéric Bastiat (1801-1850) became the most brilliant expositor of the principles of laissez-faire and the denouncer of the fallacies of protectionism. In his last pamphlet, in the aftermath of the 1848 revolution, he concluded that "legislators and do-gooders [should] reject all systems, and try liberty." Later, those principles of liberal economics were magisterially expounded by Paul Leroy-Beaulieu at the new School of Political Science (Sciences Po) and then at the Collège de France. The liberal tradition of economics had in part evolved – and Sciences Po founded – as an explicit counterweight to the engineering or technocratic vision presented by the graduates of the professional schools. The first Monnet Plan was already formulated in 1946. Heavy industry (especially steel) figured prominently in the national investment plans, and individual businessmen were frightened of appearing as laggards or saboteurs. The result was massive investment and quick expansion. The government was obsessed with growing more quickly than German steel and warding off the new and threatening Italian challenge to its industrial strategy. The French political class saw big steel mills as modern cathedrals that gave expression to a national revival. The chief architect of France's postwar plan, the banker and visionary of European unity Jean Monnet, called for "une politique de grandeur pour l'acier," and indeed he saw some mechanism for extending French control over the continental European steel industry as key to postwar political stability. In the immediate aftermath of the war, there was an intense discussion of nationalization as a way of raising production. The old Colbertist tradition of a state-guided economy was augmented by admiration for the achievements of Soviet planning. French policymakers believed the Soviet Union had both avoided the Great Depression of the 1930s and won the war because of planning. Gigantism itself was sometimes also presented as a response to the new German challenge: In 1956, in a gloriously mixed metaphor, Le Figaro referred to a "steel fever on the other side of the Rhine in which France should not let herself be outpaced." Initiatives such as the Marshall Plan also helped to establish the idea that planning might transform the whole European business structure. For steel and coal, planning was given a European context by the Schuman plan and the establishment of the European Coal and Steel Community (ECSC). France also Europeanized its preference structure, and many political figures saw the primary desideratum as the establishment of a mechanism for economic governance that allowed Europe to undertake the same coordination that French policymakers had managed to apply on a national level. The highest achievements of the French tradition were seen in the coordinated nuclear power network built by Electricité de France, and in some spectacular examples of ingenious but ultimately failed technology. France built the first medium-range passenger jet aircraft, the Caravelle, in the mid-1950s, and then in the 1960s, the supersonic aircraft project that resulted in the beautiful and fast (but commercially unviable) Concorde. In 1978, France's telephone company unveiled Minitel, a sort of predecessor to the internet, with online videotext linked to commercial applications. France's high-speed train system, the TGV, launched in 1981, was only emulated much later by Italy, Spain and Germany – with the United Kingdom still contemplating such a move. The aura around France's attachment to the plan as an instrument of national revival lasted a long time. France's planning institution, the Commissariat Général du Plan, existed until 2006, when it was renamed the Center for Strategic Analysis, which in 2013 was renamed the Commissariat Général à la Stratégie et à la Prospective (CGSP). There had already been an attempt to transform the institution in the mid-1980s, but it had been vigorously resisted. At that time, Pierre Massé, an engineer from the École des Ponts et Chaussées and the principal architect of planning in the 1960s, had complained that "suppressing the plan in the name of an impulsive liberalism would be giving up the major weapon in the struggle against the dictatorship of the short term." Aspects of the older tradition remained in one area: the argument that currency stability was an important objective of policy and that something like the gold standard was a desirable international discipline had a powerful appeal. This case had been brilliantly and persuasively made by Jacques Rueff, who emerged as the economic guru for General de Gaulle. But it was also taken up by the left quite enthusiastically, above all because it could be mounted as a critique of the United States and the manipulation of the dollar in the Bretton Woods era in the interests of American foreign policy. As in Germany, most modern French economists have largely moved away from the traditional concerns of both 19th century liberal economists and postwar French politics with planning. Indeed, French academics have made a decisive contribution to the literature on time consistency and the consequent significance of the correct formulation of rules. In that sense, they have done more than the German ordoliberals to present a version of a system of rules that is really applicable to the complexities of a modern economy, in which competition is not an obvious result of economic activity. Jean Tirole and Jean-Jacques Laffont, in particular, have been instrumental in developing a new approach to the provision of incentives by regulators, in which the dangers of creating moral hazard play a key role. The visions of the past influence the way that economics is seen. Most French economists complain – as did Thomas Piketty, the author of the best-selling Capital in the Twenty-First Century that "economists are not highly respected in the academic and intellectual world or by political and financial elites." In fact, an intellectual culture exists that sees economists as narrow-minded and soulless technocrats who force a dehumanized concept of rationality on their fellow citizens. Raymond Barre, a European commissioner who was prime minister of France from 1976 to 1981, was lauded as "the best economist of France" by Valéry Giscard d'Estaing, France's president at the time." But "economist" was a dirty word. As the late 1970s were a time of increased inflation and unemployment, the end of the postwar euphoria and a period of general disenchantment with the political elites that had until then managed the Third Republic, the concept of economist as ruler looked sinister rather than beneficent. Jacques Sapir, a dissident economist who saw himself in the left-wing, critical and, above-all, political tradition, complained that economists were undermining democracy. Bernard Maris, the journalist and economist who was tragically killed in the terrorist attack on the satirical magazine Charlie Hebdo, concluded, "What were economists for, one will ask a hundred years from now? To make people laugh." That kind of critique sat well with a country that was increasingly obsessed with the parallel stories of national decline and triumphant globalization. The approach of modern mainstream French economists does not translate well into the policy debate, which is still dominated by the older and rather eclectic visions of how an economy functions. In general, the French press – notably, Le Monde – is committed to the attractions of interventionism. French politicians from every part of the spectrum denounce neo-liberalism. Nicholas Sarkozy criticized "Anglo-Saxon Europe, that of the big market" and repeatedly said that it was his mission to assert the values of French and European humanism as an alternative to the international economic system. Even economists like to participate in the backlash against modern economics. The same sort of public mobilization of economists for a political cause that took place in Germany against the euro rescue packages occurred in France against the German doctrines and against austerity politics. In September 2010, more than 700 French economists signed a widely publicized manifesto for "an alternative economic and social strategy" for Europe, attacking the "false economic platitudes" of "neoliberal dogma." Rules should be subject to the political process and may be renegotiated. Crisis management requires a flexible response. Constraining the freedom of the government to act – and to borrow – would be undemocratic. Monetary policy needs to be used to serve more general goals than simply price stability, such as being concerned with economic growth. The lessons of the Great Depression include the principle that adjustment to international imbalances should be undertaken symmetrically, with surplus countries doing their part. As multiple equilibria are possible, choosing an unpleasant trajectory for the present is likely to perpetuate rather than remove constraints on growth. Present virtue is self-contradictory and self-defeating. The same sort of public mobilization of economists for a political cause that took place in Germany against the euro rescue packages occurred in France against the German doctrines and against austerity politics. 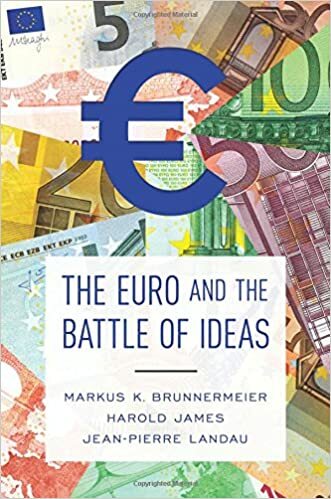 Another important dimension of economic thinking along which the German and French philosophies differ markedly is international economic relations – in particular as regards cross-border capital flows. These disagreements flared up during the negotiations preceding the ratification of the Maastricht Treaty in 1992. German economic philosophy calls for free trade, fair (that is, undistorted) competition, and open international capital markets. Capital controls were considered arbitrary, favoring certain industries and inviting political lobbying. Thus, a world in which exchange rates are free to move, in which no coordinated multilateral interventions are necessary to deal with macroeconomic shocks, and in which capital can flow freely is very much in keeping with the German tradition. The French philosophy, in contrast, is much closer to the original Keynesian position (evolved as a response to the Great Depression) of fixed exchange rates, controlling capital flows and fostering multilateral adjustment via inflationary policies in surplus countries. A useful organizing principle for a discussion of these differences is the "trilemma" of international macroeconomics. Basically, this states that an economy cannot simultaneously have a fixed exchange rate and an independent monetary policy and allow capital to flow freely; it must pick two out of three. The choice has profound implications for its ability to adjust to adverse macroeconomic shocks. The German and French philosophies differ notably in their attitudes toward the desirability of capital flows and in how different economies, especially those linked via some kind of exchange rate mechanism, should respond to asymmetric shocks. The trilemma tells us that we have to pick one side of the triangle. Germans picked the capital-flow side, while the French preferred fixed exchange rates. This trilemma is, of course, a simplification. In practice, there are varying degrees of commitment to a fixed exchange rate regime, varying degrees of openness to international capital, and varying degrees of monetary policy autonomy. The corners simply represent the boundaries of the possible. Still, the trilemma is useful as a first-pass organizing device, and history provides us with numerous useful examples of how the underlying trade-offs were resolved in the past. The gold standard was the dominant international exchange rate system between the mid-19th and the early- to mid-20th centuries. And many modern commentators make analogies between the gold standard and the European currency union, in that both suppressed the autonomy of monetary policy. Under the gold standard arrangement, the central bank of every participating country must stand ready to exchange its currency for gold at some fixed ratio. How do economies in this system deal with asymmetric shocks – say, an expansionary demand shock in one country and a contractionary one in another? In a currency system with gold backing, trade naturally leads to a flow of gold into surplus countries. As long as central banks in the surplus countries do not "sterilize" the gold inflows – that is, prevent the inflows from increasing the domestic money supply – prices will be pushed up. The opposite happens in deficit countries, and so imbalances tend to auto-correct. In a world where trade deficits can be financed via credit extended from surplus to deficit countries, however, this mechanism does not work as there is no compulsion to adjust. Explicit policy interventions are thus needed to move price levels in the desired directions. This important caveat illustrates well the importance of capital flow considerations in the analysis of international monetary arrangements. After World War II, the gold standard was succeeded by Bretton Woods, a system of fixed exchange rates (with occasional realignments) and constraints on capital flows that was explicitly designed to give monetary policy more autonomy. At the heart of this system was the U.S. dollar as its leading currency. All currencies were fixed against the dollar, and the dollar itself traded at a fixed rate against gold. This system was clearly closer to the French than to the German ideal. But France did not like the extent to which it relied on the dollar, and Gen. de Gaulle famously tried to revive gold as an alternative. The Bretton Woods regime allowed for occasional realignments, but still – as in any fixed exchange rate system – the adjustment problem always loomed large. Tensions particularly rose in the later stages of the Bretton Woods system, especially in the late 1960s, as Germany increasingly built up trade surpluses that reflected productivity gains as well as the containment of wage costs through a collaborative approach to wage setting. (Trade surpluses would become the hallmark of late 20th century German-style capitalism.) By contrast, deficits in Germany's trade partners reflected either slower innovation or (especially in late 1960s France and Italy) a less disciplined approach to wages in an era of full employment and increased social and political radicalism (reflected in large numbers of days lost in strikes). At the beginning, in the era of fixed exchange rates and controlled capital markets, even relatively small deficits could not be financed, and they produced immediate pressure on the exchange markets. The deficit countries then had to apply fiscal brakes in a stop-go cycle. Germany's partners, notably France, were faced with the prospect of austerity and deflation to correct deficits. This alternative was unattractive to the French political elite because it constrained growth and guaranteed electoral unpopularity. Their preferred policy alternative was thus German expansion, but this course was unpopular with a German public worried about inflation and was opposed by the powerful and independent central bank, the Deutsche Bundesbank. By the early 1970s, capital flows had become so large, and the system so unstable, that an answer needed to be found. Again, the German view was that capital flows simply could not be contained and controlled effectively (and, furthermore, any sort of control would invite lobbying and lead to favoritism toward certain sectors). The logical conclusion was that capital should flow freely and exchange rates should be left free to adjust, restoring the balance between countries. The French called instead for even more active management of capital flows (through tighter capital controls) as well as inflationary policies in surplus countries. This is the spirit of Keynes, who back in the early 1940s called for the entire international monetary system to be structured so that countries running excessive surpluses would be penalized, while those in deficit were to be supported. The tightening of capital controls was related to the deep-seated French belief that exchange rates, if left to float freely, are excessively volatile, and similarly so for capital flows. Exchange rate overshooting and sizable international capital flows are then argued to actually be destabilizing. French policymakers often expressed a longing for stable rates, as well as the view that exchange rate stability required more policy coordination. In particular, pro-inflation policies in surplus countries were supposed to restore a balance in competitiveness and so restore equilibrium for the wider global economy. The flipside of such stabilization policies are the destabilizing effects of divergences in inflation between high-inflation debtor countries (under Bretton Woods, for example, Italy) and low-inflation credit countries (Germany). Cross-border capital flows into debtor countries often financed investment in goods that aren't traded (in particular, housing) and consumption (both public and private), thus pushing up domestic wages without improving international competitiveness. Given fixed exchange rates, such divergent trends in wage inflation go hand in hand with a relative loss in competitiveness for the debtor countries; that is, unit labor costs in debtor countries rise markedly vis-à-vis the creditor countries. In the end, the Bretton Woods system collapsed; it simply did not incorporate a credible way of dealing with adjustment. Afterward, the global exchange rate system started to move very close to the German ideal: free capital flows and floating exchange rates. Later (in the 1980s), this became part of the Washington Consensus which, interestingly, was also pushed by various French politicians. In Europe, however, matters continued to look different. European governments felt that volatile intra-European exchange rates would be detrimental to the European project [of societal integration], and so, in 1978, they launched the European Exchange Rate Mechanism (ERM for short), an attempt to re-create the Bretton Woods system in a European context. The philosophical differences between the Germans and French as regards the adjustment question of course continued. Indeed, the German Bundesbank had always been hesitant about the ERM and so had insisted at the outset on an opt-out should the exchange rate system impose too heavy a cost (i.e., too much expansion) on German monetary policy. In the European Monetary System, the Bundesbank consistently pressed for more regular realignments. In the eyes of the Frankfurt bankers, it was France's reluctance to devalue in line with changes in labor competitiveness that was placing strain on the system. Abolishing the exchange rate (through the institution of the monetary union) and committing to a notion of price stability provided the only way of resolving this long-standing debate. A case in point is Italy: Every once in a while, Italy would have its target parity vis-à-vis the other currencies in the system adjusted downward. But precisely because such realignments are allowed for, the arrangement cannot be fully credible, and so it remains very much prone to attacks. With the availability of capital, current account imbalances were sustainable for much longer periods (though, of course, not forever). The effects of movements in capital in allowing current account imbalances to build up to a much greater extent and ensuring that corrections, when they occurred, would be much more dramatic was already noticeable in the 1980s, before the move to monetary union. These forces were, of course, not limited to Europe, but also played out on a global scale. As the dollar was soaring in the mid-1980s, American manufacturing came under threat, and so a protectionist backlash appeared possible. In response, the finance ministers of the major industrial countries pushed for exchange rate agreement. At the G7 meeting at the Louvre in 1987, the finance ministers agreed to lock their exchange rates into a system of target zones. In practice, nothing came of that global plan. But then Édouard Balladur, the French finance minister who had largely been responsible for the Louvre proposal, came up with a tighter European scheme – a first step toward European monetary union. When German foreign minister Hans-Dietrich Genscher appeared sympathetic, Europe's central bankers were asked by the president of the European Commission, Jacques Delors, to prepare a timetable and a plan for currency union. The Delors committee met between September 1988 and April 1989 and produced its report, long before anyone had German unification in mind. Large buildups in imbalances convinced Europe's policymakers that a monetary union was the only way to avoid the risk of periodic crises with currency realignments whose trade policy consequences threatened the survival of an integrated internal European market. Also, a reorientation of French policy in 1983 – the adoption of a strong French currency with lower inflation – laid the basis for the appearance of convergence after an episode of political and monetary instability in the early 1980s. With the 1986 Single European Act, the common market was also established. Importantly, it included the liberalization of capital flows. Germany pushed hard for quick implementation, whereas France, unsurprisingly in light of its historical attachment to exchange rate controls, initially wanted to delay freedom of capital as long as possible. In the end, France agreed to implement the capital flow liberalization in 1990, but many blamed the liberalization for the crisis that soon engulfed Europe. The combination of fixed – but not irrevocably so – exchange rates and free capital flows set the system up for crisis, and indeed in 1992 and 1993, there were two big exchange crises that nearly killed the European Monetary System. The background for these crises was the fiscal stimulus associated with German reunification, which brought with it substantial inflationary pressure in Germany and a tightening of Bundesbank policy. To defend the ERM currency parities, other central banks then naturally also had to tighten – but, fearing the associated recession, were generally unwilling to do so. Speculators realized this fundamental dilemma and bet on it. In September 1992, the British pound was attacked. George Soros, a wealthy Hungarian-born hedge fund manager, sold short more than $10 billion in pounds. Ultimately, on Black Wednesday, September 16, 1992, the United Kingdom was forced to withdraw from the ERM. A day later, Italy withdrew as well. In July 1993 the speculators also started attacking the French franc. The French and German central banks (under pressure from the German government) spent large sums to defend the franc, and German interest rates were lowered. Ultimately, on August 1, 1993, the band within which the exchange rate was to stay was widened from 4.5 percent to 30 percent. Germans persistently believed that monetary union could only occur on the basis of a prior policy convergence. A term that was frequently used, especially by the Bundesbank, was that monetary union could only come as a coronation – the final symbolic act – of an integration that had been prepared by solid policy work. That position was contrasted with the French one, which held that adopting new institutions could quickly force convergence. Net exports are considered a gauge of competiveness and a signal of economic health and strength. Germans prefer flexible exchange rates in an international setting with open capital markets. Exports that are too high are not a sign of strength, but an indication of the application of a beggar-thy-neighbor mercantilist principle. The international monetary system should be multipolar, and effective policy coordination should include the active management of capital flows to stabilize exchange rate movements. Fixed exchange rates are a desirable reflection of states' ability to impose discipline on disorderly markets.